Product Description- These pastel nail colors in 8 tinted shades promise a jolt of color with an unmissable smooth finish and lacquered shine that say tint all the way. Get purplicious with the all new Purple Rain from Lakme Absolute Nail Tints. This subtle yet poppy hue makes your nails garner all the attention without being OTT. Shelf Life- 36 months from Pkd. 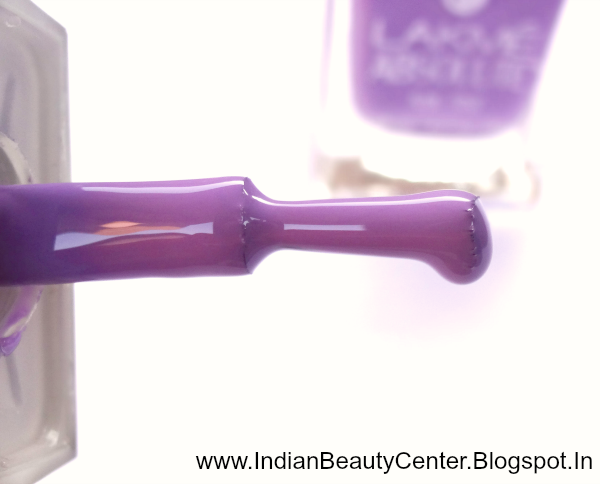 This Lakme nail lacquer comes in a good looking glass bottle with a plastic cap. 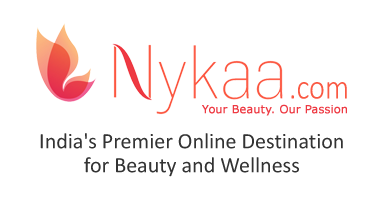 It is a Limited Edition Nail paint from Lakme Fashion Week. This nail tint smells a bit alcoholic and some might not like it, but believe me, most of the nail paint smell that way! The brush is of good quality and it helps in spreading the nail polish nicely. One problem I have is with the consistency- it is very very thin, which makes it very difficult for me to apply it properly. After a lot of time, I managed to properly apply the nail paint with 2 coats. This nail colour is a lovely pastel lavender kind of color and it would look good on all skin tones and nail sizes. The finish it gives is slightly glossy and slightly matte, which is overall semi-matte. This nail varnish stays on my nails for like 3 to 4 days after which it starts to chip. Yes, I expect a bit better staying power at this price. Also, the ingredients list is missing. Overall, this nail enamel is a good buy and you should definitely try it out because such beautiful shades are a bit difficult to find! Final Verdict- This is a very pretty shade of nail paint from Lakme! The staying power is really good, of about 3-4 days, and this nail paint looks really stylish. Also, this pastel shade will suit almost all skin tones and would look good on long and medium nails as well on short nails. These Lakme nail tints are available in the following shades- Orange Squash, Coral Romance, Red Chiffon, Fuchsia Sorbet, Purple Rain, Kiwi Martini, Blue Breeze, Aqua marine. Oh wow such a pretty color, I love this color as it uplifts the mood, I have this shade but in other brands, will get hold of this one soon. Lovely review and amazing pics Arpita.